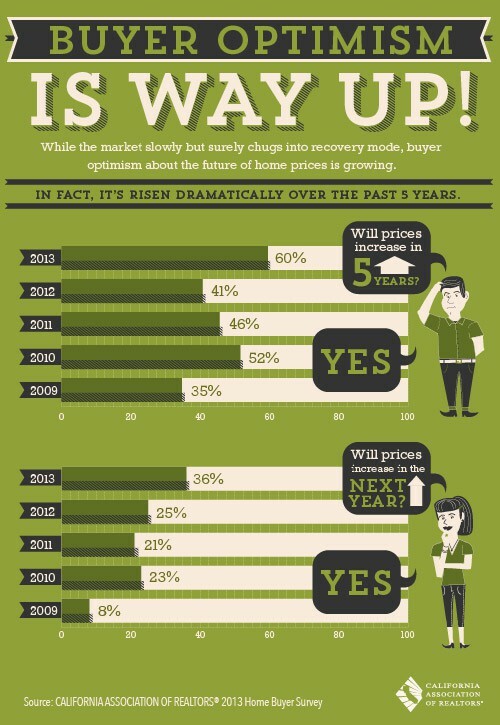 As the economy slowly improves consumers are optimistic about the direction of home prices. Maybe they shouldn’t be…ask my why. This entry was posted on Friday, November 1st, 2013 at 11:37 pm	and is filed under news. You can follow any responses to this entry through the RSS 2.0 feed.